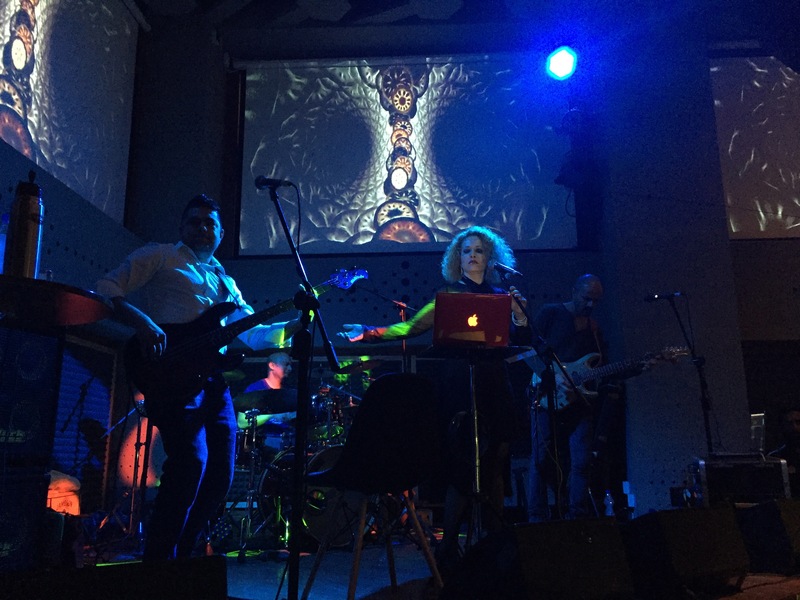 A third of Cooke Town’s Anglophones, sans the brood of millennials they have since engendered, turned up with halves better or worse to watch Gangamma’s Pleasure perform on Sunday night at Blue Frog on Church Street. 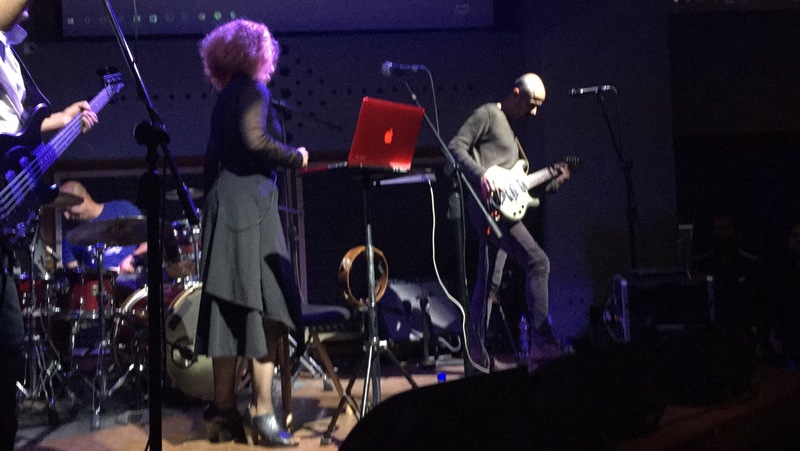 This was a completely unexpected charity gig, perhaps not quite a comeback, and the bar was packed with about two hundred and fifty or so friends of this zanily named Bangalore band of the 1990s (Bangalore and zany band names, after all, enjoy a long history of cohabitation). And for those who went to college in Bangalore in the early Nineties, it packed all the promise of a reunion. These last few months have exhumed memory after memory from those vaults. In December, Thermal And A Quarter celebrated 20 years with a day of concerts performed by the students of Taaqademy — the music school that they founded in 2011. This week jogged the cogwheels of memory when The Mustangs (a Madras band from the 1960s that enjoyed a 4-year run) performed at The Catholic Club on January 14 to celebrate their fiftieth anniversary. A few days afore, I was alerted by an old friend of 25 years’ vintage to another Bangalore gig. The news of it spun me back into the un-digital 1990s, a time when Radiohead’s Creep and Pearl Jam’s Jeremy airing on MTV and Channel [V] embodied the zeitgeist. We didn’t think twice about forwarding that invitation around to as many mates as we could. Soon, we had rustled up a sizeable gang of nostalgists. For every shard of history in Bangalore now is a sacred trope that reunites, however briefly, this motley herd of fortyish grunge patriots that drunk-drove round the the turn of the century without seat-belts or helmets. These being the final dregs of a Bangalore as we once knew it, we will quaff every drop noisily until the bitter end. On Sunday night, as we stepped into the past, the future flickered alive. And with that came a bittersweet realization. Some bands occupy a niche in memory. Others become memory itself. And some other bands are best left undisturbed in the safes and attics of cobwebbed time. Because, ruffled, that memory oxidises instantly — wine sours into vinegar. Nostalgia is a sedative. It dulls several observed truths. There were flashes of memory that night which took me back to 1994, watching Gangamma’s Pleasure on stage at Autumn Muse with equal parts envy and admiration. The same lineup of promises. The same theatrics. The same overreach. It was a moment congealed in time, note for note. And much of it, I found myself accepting reluctantly, was pretty unremarkable. I’d have loved to have come back from this gig and written a page of history. 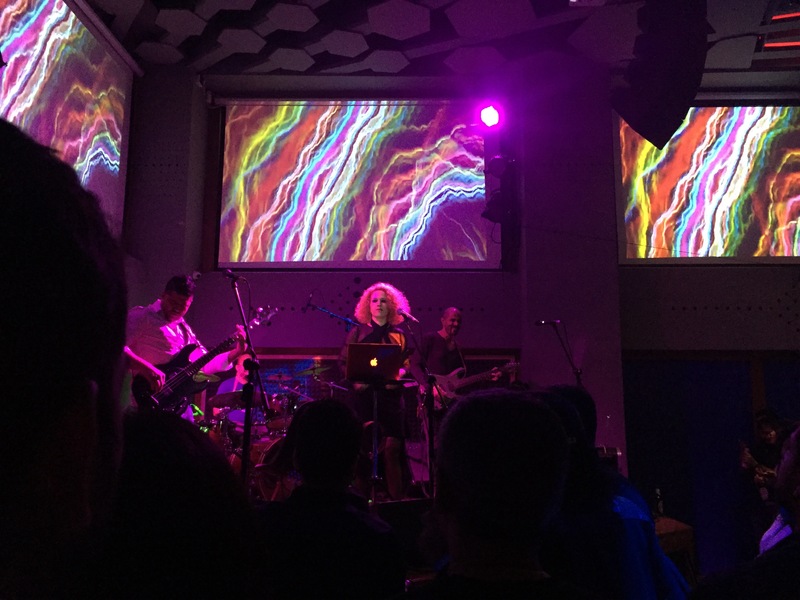 But being in that adoring, uncritical crowd of friends and family, gathered in earnest, clinking Biras amid much wanton unforgetting, I was left with the same gnawing frustration that I used to feel back in the 1990s watching Bangalore bands burn out their fifteen minutes of almost-fame: Why can’t you express more sincerely? Why can’t you be bold and committed enough to take that one giant leap. and create something new and rich and strange? Why can’t you risk the jeers and perform your own music rather than going on like jukeboxes cranking out covers? Even memory needs an upgrade in order to be enduring and redeeming — all the delicious irony of the past, with a lick of paint from the present. Today’s Bangalore scene is a vibrantly fickle, fleeting, evanescence. Bands are playing everywhere. Some with musicians as young as nine and ten years of age are writing and performing music. There is a boldness that overshadows their naïveté and blase disregard for inherited pedigree. There is an assertive denial of the burdens of history. As Gangamma’s Pleasure performed The Police, Pearl Jam, Collective Soul, and even a wan version of The Black Crowes’ Hard To Handle (I’ve never gone back to it since I discovered the original by Otis Redding), I relaxed and sucked hard on my beer. There were going to be no surprises tonight. Halfway through the gig, we craved a steak. Since we were in the mood, we stepped out into the murk of Church Street and, finding Temptations closed, walked in brisk sobriety to catch the last order at The Only Place. It was that kind of night. Like misery, pleasure loves company, too. A few old friends get together from different countries, practice for a few days and play some covers for family and friends, raising some money for charity. I found the effort charming and while the sound might not have been fantastic, the audience seemed to enjoy it. Foremost, thank you for reading and for writing a comment. You are probably closer to the band members than I am and I can relate to the umbrage that you appear to take. I thank you most for the decency and civility of your tone. It is evocative of an old Bangalore quality that we cherish, but which is deplorably in short supply these days. You wrote: “In writing, what we question most vehemently and might find unremarkable in others are those qualities we despise in ourselves.” That’s a loaded assumption but one that merits some introspection. You say this as if it is an absolute, with the notion that no filters were applied in the process of writing this post. Since 1994, much has changed and you and I are lucky to be here as witnesses and chroniclers. The more of the past we remember with irony rather than mawkish attachment, the better the quality of the celebration. Was I glad that the gig took place? Yes. Was I glad to see the band members alive and well? Certainly. Was I grateful for the opportunity of an unprecedented reunion? Yes, as much as you were. That said, I did not desert my responsibility as a critic. It’s the difference between 1994 and now. What’s changed, in the words of the late John Berger, are the ways of seeing. And how and what I report what I see might not make everyone happy. But then, these raw personal truths are often disturbing and uncomfortable, even inconvenient. Thanks for your detailed and kind reply. Dont know John Berger but one chooses what one wants to see. You chose not to note the camaraderie, fellowship and warmth of the evening which was the whole point given that the members of the covers only band (it was never anything else I think) had reunited a few days previously . Instead you focused on what you felt was a lack of originality in the song selection, even though the show was a nostalgia trip, which you paradoxically mentioned. A critic needs to have a cultural and historical context for the work they review, including a knowledge of facts that the band was a covers only band, just like ‘The Mustangs’ which you also mention. The critical review should not be as you say ‘personal’. That is disturbing, uncomfortable and mediocre. However, my focus concerns the late 1980s and after, and particularly the early 1990s, when media had shaped music consumption patterns and opened up access to the sounds of the day. I have written about this previously. Today, access to any kind of music is only a click or a tap away and a cover band would be completely irrelevant unless, of course, they reinvented or reinterpreted covers or standards, or innovated on performance methods. A few bands have achieved distinction by doing so. Where I differ with you, while enduring your jibe about mediocrity, is in this submission: Together with offering historical context to the reader, the critic’s voice is essential to the review. The reactions to anything a critic reviews are certain to be highly polarized. It is this schism that the critic attempts to address, often to expose, and very often even to bridge. I concede that my treatment of it might have appeared a tad unkind. There was or is nothing personal I hold against the band or the musicians. In a series of follow-up comments and responses, I did acknowledge the warmth of the audience response, and that I was present that evening both as an adoring nostalgist and an aseptic critic. These responses appear above our discussion on this page.